Let yoga change how you feel in 2019! Getting older doesn't need to me an getting stiffer and less mobile. Taking care of our bodies as we age doesn't have to be that hard - and after over 40 years of practise I know yoga can really make a positive difference. Whether you're a fit and active 40 something or already finding some health challenges, these classes and day retreats are specifically geared towards helping you stay active, have more energy and feel younger. These classes are also suitable if you're under 45 but you're looking for classes where you don't feel intimidated by super-fit gymnastic types or where the teaching doesn't help explain as much as you'd like. You'll learn in a safe and supportive environment, taught by an advanced yoga teacher with over 40 years of experience. 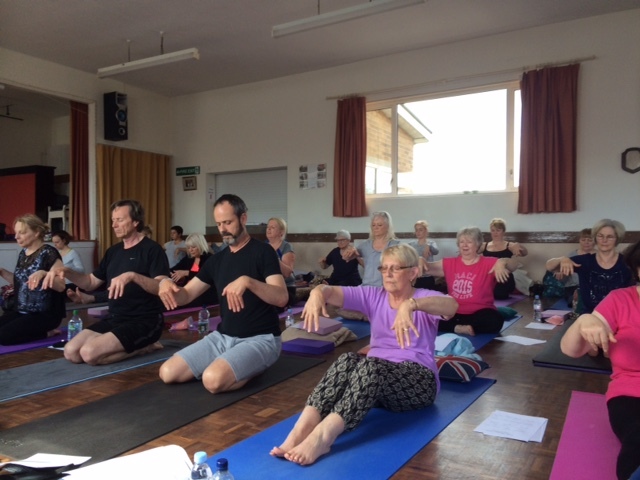 Whether you join one of our 6 week programmes or a regular class or workshop, you'll learn how yoga can help you improve your well-being - whatever stage you're at, whatever size you are; whatever experience you have! My mantra is it's never too late to start taking care of YOU. I want to grow old - but not infirm. Join me and my growing community as we make the most of our later years. Yoga over 45 is ALL about helping you stay fit enough to do it! WHY NOT JOIN ONE OF THE 2018 SHORT COURSES? Prevent or reduce stiffness and back or joint pain. If you are under 45 (lucky you!) but feel intimidated by vigorous yoga styles or have health issues which would benefit from a gentler approach then these courses or classes might be a better fit for you. No tying yourself in knots! No feeling out of place. No competition to see who can bend the most or feeling like you're surrounded by 20 somethings who are looking for a gym-style workout! Instead, a relaxed approach; which allows you to move at your own pace, yet challenges you to improve your current fitness level, and takes account of the whole you - not just your physical health; but your mental and emotional health too. And as a member, you gain access to an online library which reminds you of the poses - so you've NO excuse for not practising at home! IN ADDITION TO THE CLASSES YOU CAN TAKE A DAY'S YOGA RETREAT WITH US. 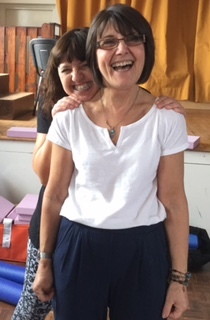 After eight hugely successful day retreats over the last 2 years, Carmen and I are holding our 10th full day retreat on Sunday 5th May, 2019, in new Bawtry Memorial Ground Hall. With floor to ceiling windows looking out onto the fields of the cricket ground, this is an oasis from the busy-ness of everyday life and an opportunity to take time for YOU. "Take care of your body: it's the only place you have to live." I believe that's true and I believe yoga will help you take care of your body. See class timetable and book a class to make sure you have a space. But you can affect HOW you age. Yoga can have a significant and powerfully positive impact on your health! Even 15 minutes a day can make a difference, so if you're "feeling your age" in any way at all - yoga can help. Find out a little more about founder Shona Garner and what prompted Yoga over 45 in this 3 minute video. Therapeutic yoga programmes or 1-1 support for more severe conditions. Do you suffer with a more severe health condition? Therapeutic yoga is designed specifically to help with some of the common ailments of later years, or help heal injury and relieve pain. Therapeutic programmes can help with a range of common health issues such as severe back pain, arthritis, overweight, high blood pressure, severe stress or cancer. I have also teamed up with Carmen Bratton, a fully qualified yoga therapist, who runs the workshops with me and who can provide more intensive, therapeutic teaching. If you feel you might need 1-1 sessions you can organise these with either Carmen or myself, and Carmen runs fabulous classes at her yoga therapy studio in Epworth. Contact us if you'd like more information about these programmes or private tuition.
" I would like to say to you that I really enjoy your classes, the way you instruct, demonstrate and support. From one teacher to another I would like to say how good you are and I am pleased to have found your classes. " 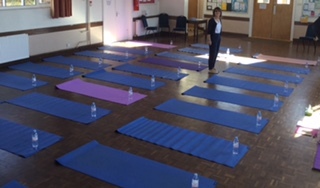 " I’d just like to say how much I enjoyed the trial yoga session on Monday evening, at Bawtry. I couldn’t believe how powerful your words were when you said, “When you step on the mat it’s your time!” I felt it gave me ‘permission’ to enjoy and relax. I	"
" Thank you for 2 inspirational classes today, they were thoroughly enjoyable and absorbing! Could I put my name down to reserve a place for the day retreat on Saturday 20 Jan please? The last one was fantastic and can't wait to do another one!	" " I just wanted to say how much I enjoyed today's yoga class. I loved the restorative exercises and found them so relaxing.	" " I've only been to one class so far and I can't wait for the next one! Shona is an excellent teacher and very encouraging. Lovely atmosphere in the hall, very calming.	" " My motivation is to maintain my health and strength for as long as possible while coping with MS. The classes have really transformed my approach to exercise and inspired me to carry on. Shona has a very gentle and capable approach and her instructions a	"
" I'm not sure you always know how wonderful we all think you are Shona! you have an incredible talent for making 14 individuals feel like a team, but also the beneficiaries of totally bespoke and individualised attention. You are very, very clear! You ex	"
" I was beginning to feel stiff, under-active and de-motivated and coming to the classes has made me feel much better - more supple. I feel the approach is just right and enjoy the relaxing background music.	" 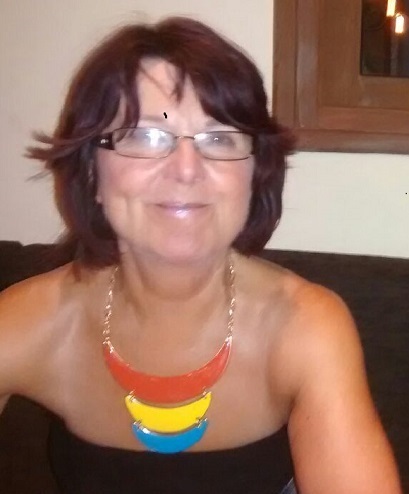 " I joined shona's classes because I wanted to improve the flexibility and suppleness of my body. the classes have been a tremendous help with this. the group feels very inclusive and friendly which I like. Teaching approach/style is excellent - I appre	"
" I find the whole experience completely positive. the teaching has enabled me to practise at home and to derive enormous benefit from everything, especially the breathing exercises which I often use. Whatever level you are you are made to feel that you are	"
Interested In Therapeutic Yoga or more personalised sessions? 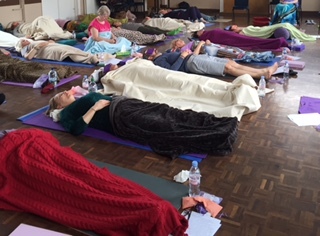 If you suffer with a severe medical condition it may be that therapeutic and restorative sessions which teach you more restorative postures and breathing techniques in smaller groups or 1-1 might be best for you - at least initially. If you'd like more information or want to register your interest in these sessions, then simply complete the form below and we'll get back to you very shortly.